It's not even out yet but it's already selling enough units to make Iwata and Miyamoto cackle with glee at the thought of the Wii U finally becoming a money-printing machine. 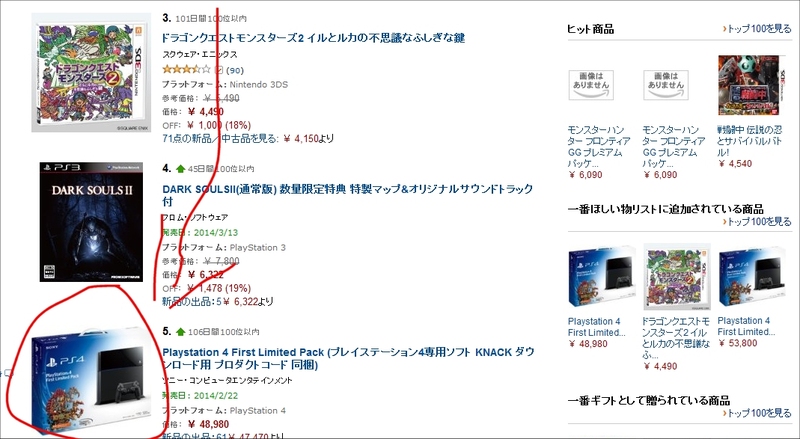 Player Essence caught wind of the news via spotting the listing on the Japanese Amazon site's best sellers category. You don't even have to take my word (or Player Essence's word) for it. Just head on over to the Japanese Amazon page right now to see what's what. For historical purposes, you can check out a snapshot of the page below. As you can see, Mario Kart 8 leads the pack at the top of the charts, followed closely by the culturally beloved Yakuza Ishin for the PS3. Dragon Quest Monsters for the Nintendo 3DS and the globally anticipated Dark Souls II rounding out the top of the software pack. 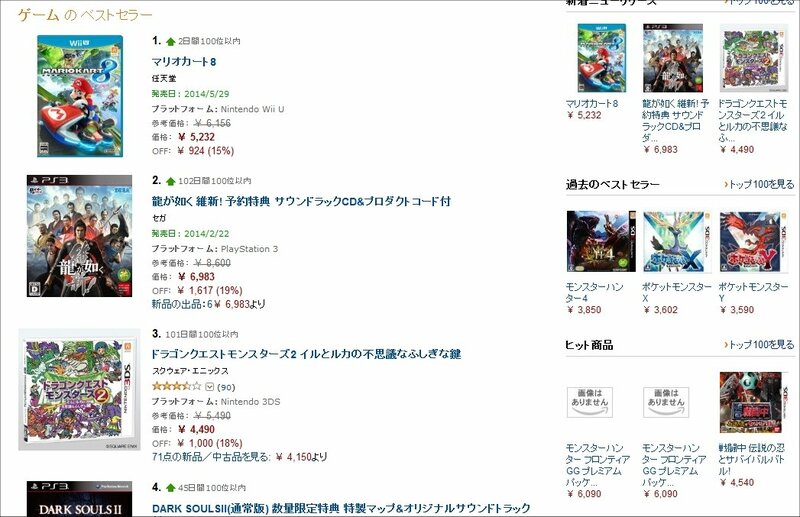 What's most surprising is that Mario Kart 8 is outselling the highly awaited PS4 on the chart. If you look at the fifth spot it's occupied by the PlayStation 4. The list is updated hourly but Mario Kart 8 has been maintaining the top spot for an entire day! This is despite the fact that the PlayStation 4 is set to launch on February 22nd in Japan. That's some serious love being shown to Mario by the Japanese gaming audience. The reason for the major boost? Nintendo's Direct. The Nintendo Direct unveiled a bunch of new games for the Nintendo 3DS... tons of new games, in fact. The Wii U didn't receive any major new announcements about titles we didn't already know were coming, but Nintendo instead refocused a ton of attention on hotly anticipated games due out for release this year for the Wii U, including Monolith Soft's X and Mario Kart 8. To help drive the point home, the Big 'N' unveiled a brand new trailer for Mario Kart 8 featuring new characters, new tracks, new specials and a ton of fun-looking gameplay, which you can view below. The game sports brand new characters, including seven fan-favorites from the Mario series, all new tracks to race on, and a bunch of the transformation features from the 3DS version of Mario Kart 7. That's not to mention that the graphics are absolutely gorgeous to boot. The previous Mario Kart for the Wii managed to sell more than 34 million units and helped push the sales of the hardware by a significant margin. It's not unlikely that Mario Kart 8 for the Wii U could help shift a large quantity of systems, too. You won't have to wait too long for the first-party title to drop for the Wii U, as Mario Kart 8 is set to go live on a retail shelf near you starting on May 30th.